The last news about Iron Man the movie. 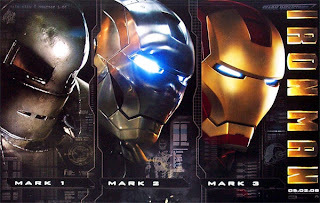 Watch the trailer of Iron Man starring Robert Downey Jr.
A new full trailer for Ion Man has been aired during the last Lost episode. This Iron Man trailer is just gorgeous! I wish I had such an armor: would be so great to be able to fly like Marvel's hero. By the way Director Jon Favreau is a good choice for Iron Man, don't you agree? Starts out as as Cochise by Audioslave then mixes into the Ironman tune.